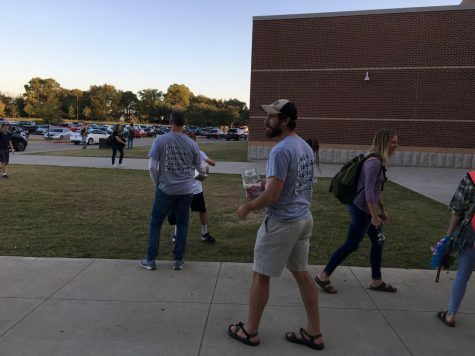 Flower Mound High School is constantly finding ways for students to help out the community. On April 9, in the White Gym, FMHS teamed up with Carter BloodCare once again to offer juniors and seniors the option to donate one pint of blood. The biannual blood drive, run by StuCo advisor Jennifer Owens, received 155 units of blood, enough to save 465 lives. “It’s cool to think about the impact giving blood can make on someone’s life,” senior Hunter Huddleston said. Students are encouraged to donate, but must meet several requirements beforehand. Students also can’t give if they have any medicine in their blood, or have had a history of drug abuse. After the donors give blood, they are given a snack and time to rest in order to re-energize for the rest of their day.